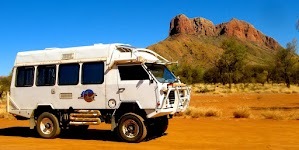 Some of the more interesting aspects of travel in the north of Australia are the frequent encounters with WW11 sites and memorabilia which have made an indelible impression on the history and landscape of that part of the country. One story that captured my imagination many years ago was that of a secret airbase that was never discovered by the enemy and whose whereabouts, or even existence, were not disclosed until after the war. In 1942, an airbase was built in the north west of WA, beyond range of enemy aircraft, and intended as a strike base against Japanese occupation forces in Indonesia and Borneo. The Japanese suspected the existence of a base due to the frequent raids launched from that area, but although they searched for it many times, they never found it. Distance, and the clever use of camouflage helped maintain its secrets. However it did exist, and it was used successfully from May 1943 to 1945 by RAAF No 25 Squadron and the USAF's 380th Air Wing, both equipped with B-24 Liberator heavy bombers. In fact the airbase still exists today and although abandoned since 1945, sufficient relics remain to make a visit to the area a very interesting historical diversion. 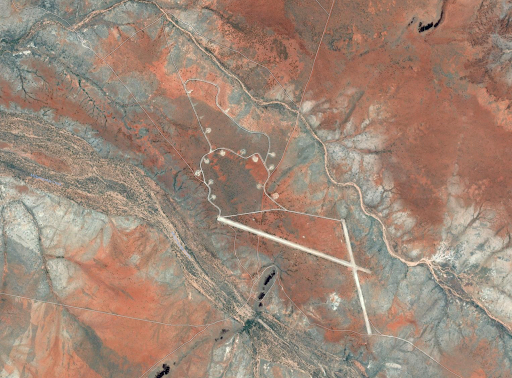 Its exact location is no longer a secret and the airbase can be found about 36 km due south of Marble Bar on Corunna Downs Station. It's reasonably accessible if you have a good map and a GPS. 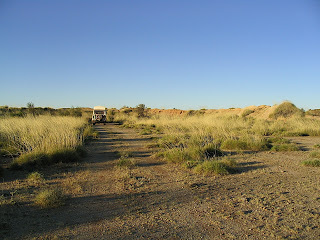 Take the Corunna Downs Road (also called Salgash Road) south from of Marble Bar for about 30 kms until a turning on the right, marked by an oil drum, about 500 m past the Camel Creek crossing. Follow this track for about 750 m and turn left, just over another small creek. It's then a further 6 kms along a fairly straight track to the airfield. If you miss the first turn you will end up at Corunna Downs homestead. 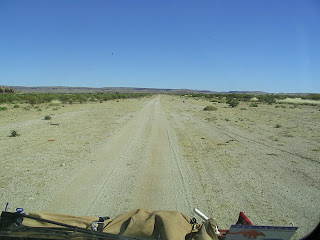 The tracks are dry weather roads and are navigable by 2WD vehicles, although 4WD's are preferable. 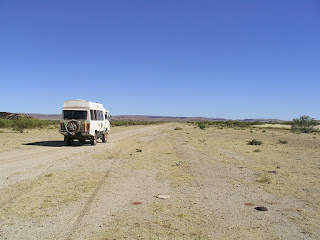 On our first visit in 2002, without the benefit of a GPS we actually reached the airfield perimeter road without realising where we were, and turned back assuming we had missed it completely. We surmised, correctly, that the secret airbase was going to retain its secrets a bit longer. 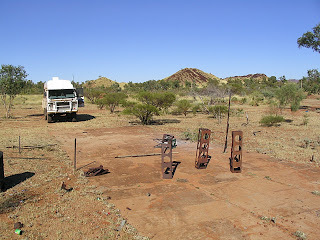 On our second trip in 2007, forearmed with better knowledge and equipment, we located the airfield quite easily and spent 2 days there soaking up the atmosphere and fossicking amongst the rusting memorabilia. A good way to get your bearings before actually going there is to visit the airbase on Google Earth at 21°25'53.79"S, 119°46'56.73"E, where all its features can be clearly seen. 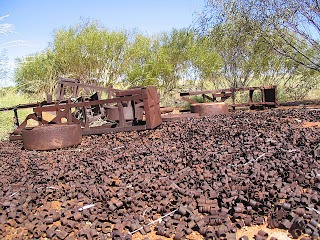 A visit to the Comet Gold Mine just outside Marble Bar will also provide useful background information on the airfield from their displays of maps, photos and descriptions of the installations. 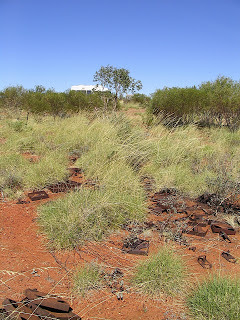 Although the airbase is on Corunna Downs station, on 10th April 2007, the Corunna Downs Airbase was granted a permanent entry on the Register of Heritage Places, maintained by the Heritage Council of WA (Ref 2). The entry reads in part "Corunna Downs Wartime Airbase is a rare example in Western Australia of a strategic Royal Australian Air Force (RAAF) base established specifically as a heavy bomber base and is significant as a reminder of the way of life for the forces personnel who were based there". The airfield is quite extensive, comprising 2 main runways of 7000 ft and 5000 ft plus 20 aircraft revetments and several km of taxi ways. A 3rd 6000 ft runway was planned but never built. These features are still in remarkably good condition today and although the buildings have all been removed, there are a large number of concrete plinths, supply dumps and earthworks to explore, forage through, or wonder about. There are piles of bomb holders, arming spinners, ammunition clips and many other items the purpose of which is a mystery. When foraging amongst the strange metal objects left behind, you might come across live ammunition. We didn't, but others have, and it should be left well alone as after 65 years, live rounds could be unstable and dangerous. Also be on the look out for snakes and scorpions which apparently tormented the troops stationed there. And when you're all foraged out, the surrounding scenery of rolling green hills and creek lines is quite spectacular. 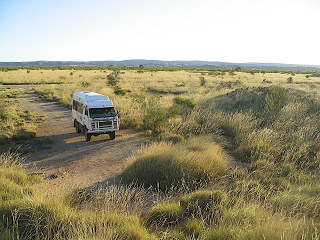 It's worth camping there for a night to become immersed in the feeling for what wartime in the outback must have been like. It was so hot in summer that showers were banned from 9 am to 9 pm because the water was scolding hot and they were plagued by biting march flies. 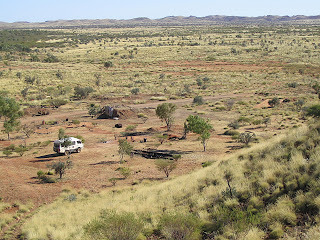 Working in the heat, dust and flies of outback Australia must have been very difficult for the crews stationed there, particularly for the American forces, a long way from home, fighting an unseen enemy, in a desolate and lonely part of a foreign country. I sometimes think we don't fully appreciate what the American forces did in the defence of Australia. 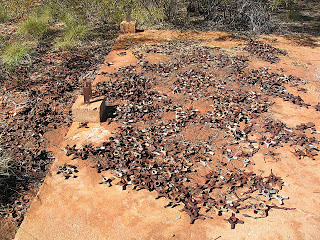 [A stark reminder of the realities of war is the site of a crashed Liberator near Mandorah on the Cox Peninsular, west of Darwin, in which 6 young American airmen tragically died in a training exercise defending our northern approaches. That site is also well worth a visit for a sober reflection on their contribution to our safety]. The main runway at Corunna Downs is 7000 ft (2.13 km) long, and was necessary to allow heavily loaded bombers to take off safely (although not easily) in the high temperatures of the region. In an article entitled "Why is a Runway 7000 Ft Long? ", Ron Alcock describes a scary take off from Corunna Downs in 1945 in a Liberator carrying 8 x 250 lb bombs plus 6000 lbs of additional fuel (its maximum load) for a long distance raid. 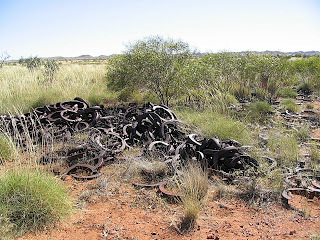 "At 119 m.p.h., the end of the bitumen runway disappeared under the nose, so did the laterite over-run, so did some of the spinifex country before (with great relief) we were airborne". Later he says "Forty paces beyond the runway’s end plus the 100 yard over-run, we found a recently mangled ‘yacca stick’ clump and my wandering mind visualized what a fiery crater there could have been, just past that yacca". "So there was a perfectly good reason for a runway being 7000 feet long". If you park in one of the aircraft revetments it's easy to image the wartime scene with aircraft coming and going and men sweating over bombs, ammunition boxes and ground equipment. You can almost hear the rumble of aircraft lumbering into the skies on their missions, some of which were regrettably only one way. 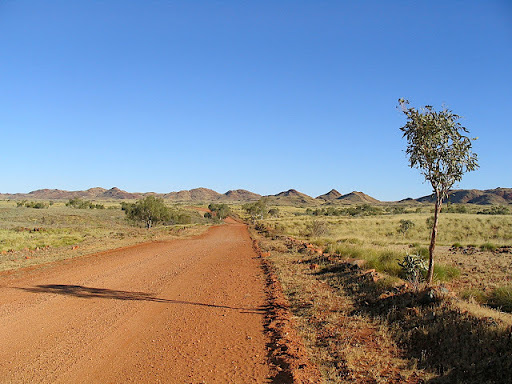 70+ years on, despite advances in transport and communications, Corunna Downs is still in a very remote part of the country although it's now much easier to access. And along the way we found Marble Bar and the rolling hills of the surrounding countryside to be surprisingly pleasant and attractive, and not at all like the images conjured up by its reputation as Australia's hottest town. So even if you are not enamoured of wartime stories, and you find WW11 installations a bit boring, just think of the conditions those men and women endured and why they were there, and enjoy the scenery along the way. We went for a look around the old site, now wishing we had spent longer exploring as we missed some the thing you had found.